Paul Glover passed away Tuesday at age 86 his West Hartford home. Nearly everyone who played soccer in West Hartford during the past four decades had a chance to cross paths with Paul Glover, and even if they didn’t know it, their enjoyment of the game was impacted by something he had done. 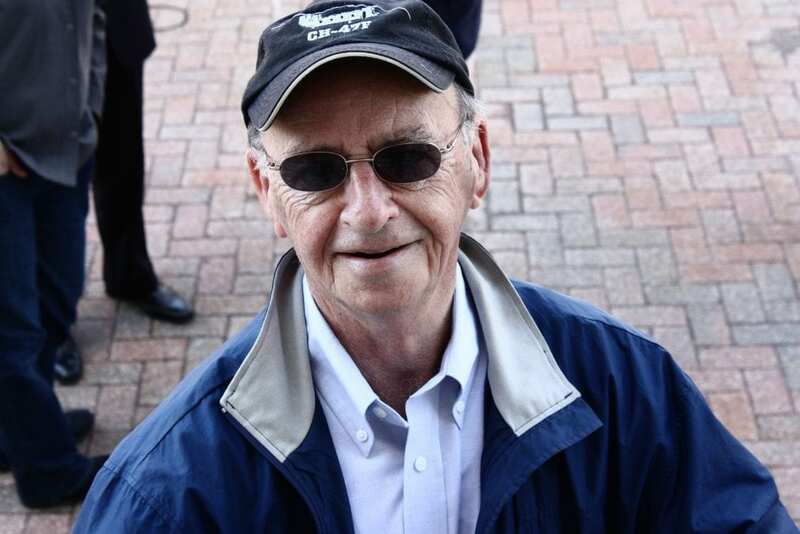 Glover died of cancer on Tuesday morning at his West Hartford home, surrounded by his family. He had recently been hospitalized, but was released on Saturday and went home with hospice care. Glover’s contributions to soccer in West Hartford are countless – as a coach, a volunteer, a board member of various organizations, and a benefactor. Glover began coaching in the West Hartford Girls Soccer League nearly 40 years ago, and coached both the recreational and travel divisions. He spent decades as a coach and division coordinator of the West Hartford Girls Soccer League (WHGSL) Junior Division, and although he was no longer a head coach, when he turned 86 last fall, he was still on the sidelines as an assistant coach alongside his daughter, Kim Glover-Polo. Their team won the championship. 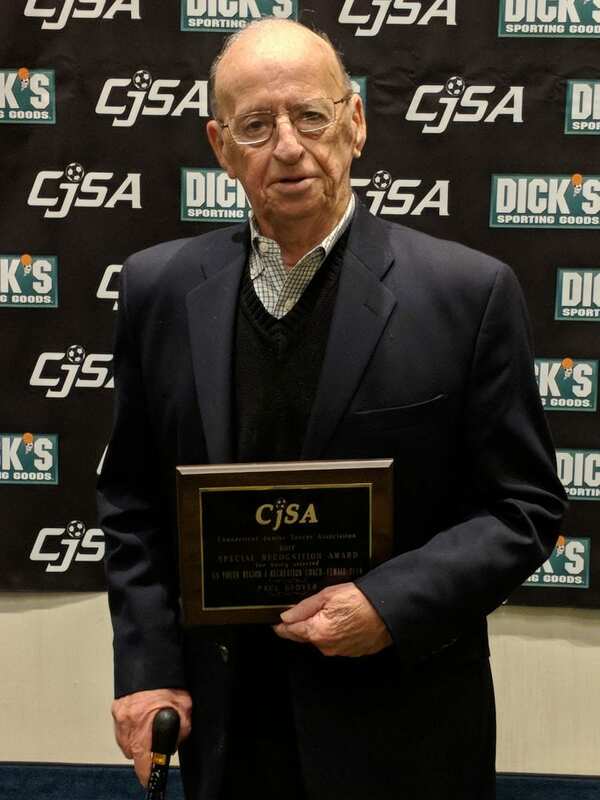 WHGSL President Ed Espinal said that Glover was recently honored as Connecticut Junior Soccer Association (CJSA) Coach of the Year, and on Jan. 26, 2018, attended and was recognized at the CJSA annual dinner with a Region 1 Special Recognition Award as a recreational coach. He was also previously recognized by the March of Dimes as a “Women in Sports” hero. “When I first got into the program, 17 or 18 years ago, he was a mentor of mine, someone I always looked up to and respected,” Espinal said Tuesday. “He was the man behind the scenes,” Espinal said, responsible for the town acquiring the Goodrich Fields, launching a spring season for girls soccer, launching the girls’ travel division, and coaching in the West Hartford Women’s Soccer Club for many years beginning in 1995 when the organization was founded. Glover remained a member of the WHGSL Board, and always attended meetings and had something to say. “He remained sharp as sharp could be, until the end,” Espinal said. In the late 1990s, Glover, at the time the vice president for marketing and business development at Goodrich, worked to negotiate an agreement with his employer for the West Hartford soccer leagues – girls, boys, and women – to use eight acres of its property at the intersection of Flatbush Avenue and South Quaker Lane as soccer fields. 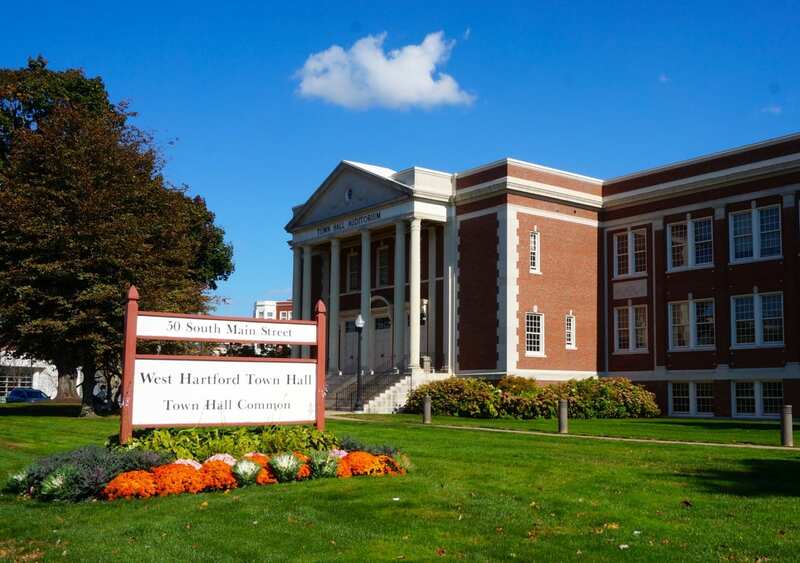 In 2002, the Town of West Hartford purchased the land for $1.5 million, and Field of Dreams raised approximately $600,000 to renovate the fields, according to Rubino-Turco, who served as chair of the nonprofit Field of Dreams, which also created soccer fields at Eisenhower Park and Whiting Lane School..
Glover also served on the board of Field of Dreams. “He made this happen,” Espinal said. On May 31, 2016, the Goodrich Fields were renamed the “Paul Glover Soccer Complex” in honor of his contributions. When the Town Council approved the naming in 2015, they noted that it was unprecedented to name something in honor of a living person. Rubino-Turco noted at the time that Glover should be credited with leading “transformational change” for his volunteer work that began as agreeing to coach a soccer team for his own daughter but led to the formation of a girls’ soccer league, a women’s soccer league, and an entire field complex. 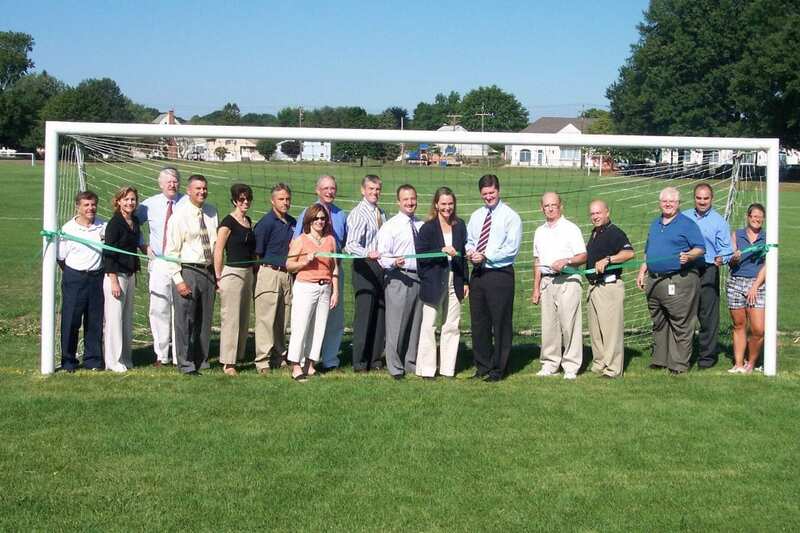 “In 2015, I was honored to be part of a group to dedicate a soccer complex in Paul’s honor,” Rubino-Turco said Tuesday, an official sign of the community’s gratitude to someone who never asked to be thanked. 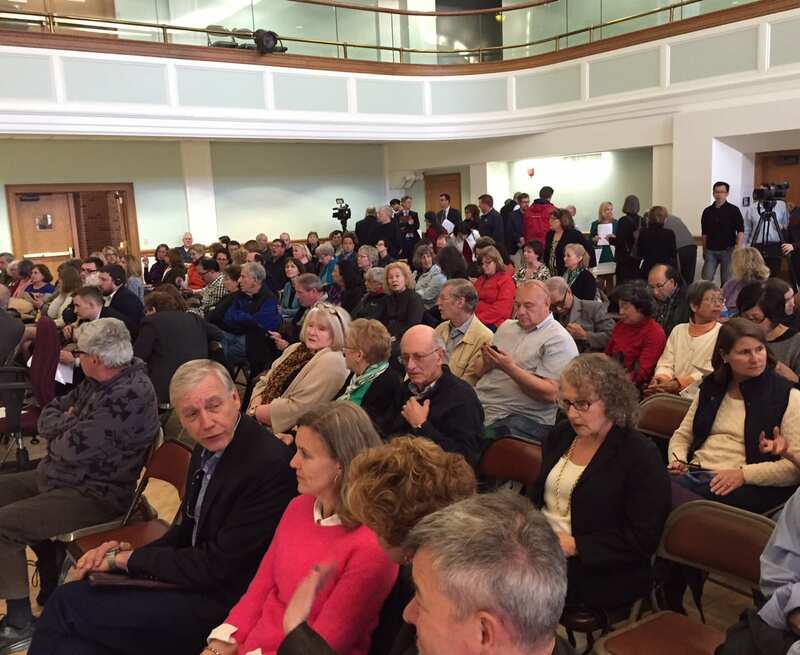 “He was a community advocate without an ego,” Rubino-Turco said. “Most would want their name on a plaque,” she said, but that’s not who Glover was. A copy of the resolution establishing the Glover Soccer Complex is provided below. Field of Dreams, which has raised approximately $1 million since it was founded nearly 20 years ago, also added a concession area and restrooms to the Paul Glover Soccer Complex, a complex that is used by girls and boys of all ages as well as women in all of West Hartford’s soccer leagues. In 2004 and 2005, my husband, Ted, had the honor of coaching in the girls Junior Division (fifth and sixth grade) alongside “Coach Paul.” One day the regular goalie was unavailable and he put my daughter in goal. She liked it and turned out to be fairly good at it, and that was the position she played through freshman year at Conard High School. Whenever Katie or I saw Paul after that, as recently as a few months ago, he’d always ask how his “favorite goalie” was doing. I’m sure he coached scores of goalies over the years, but he never forgot and always made us feel special. “He’s going to be missed,” Espinal said. 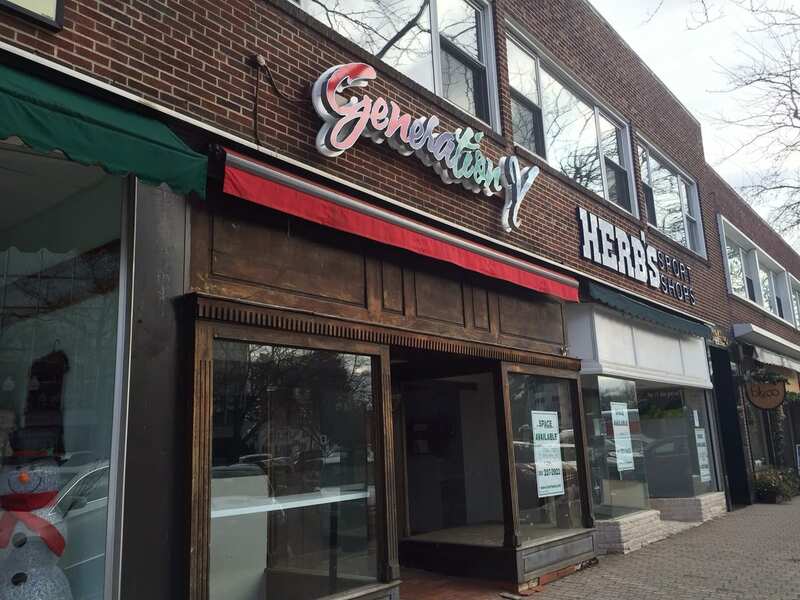 Glover was also a member of West Hartford’s Veterans Affairs Commission. His wife, Sylvia, died in 2010. “He served his community, his state, and his country with honor,” Rubino-Turco said. 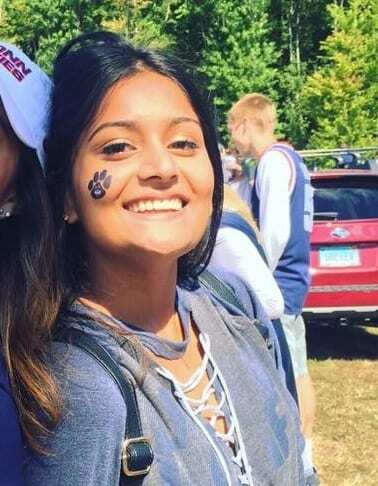 Calling hours are scheduled for Friday, March 16, from 1-3 p.m. and 5-8 p.m. at the Sheehan-Hilborn-Breen Funeral Home, 1084 New Britain Ave., West Hartford. The funeral will be held on Saturday, March 17, at 10 a.m., at Sheehan-Hilborn-Breen. Glover, a Korean War veteran of the U.S. Air Corps, will be buried with military honors in Fairview Cemetery. Memorial contributions can be made to the West Hartford Girls Soccer League, P.O. Box 270698, West Hartford, CT 06127. The complete obituary is published on Sheehan-Hilborn-Breen’s website. 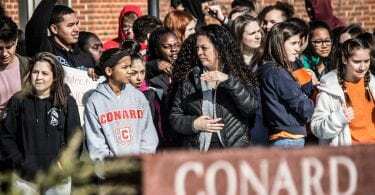 Espinal said there will likely be two sessions of calling hours on Friday afternoon and evening, and a funeral service on Saturday. Check back for updates. Mr. Glover was such a kind man with a smile that melted your worries away. My deepest sympathies to the Glover family. 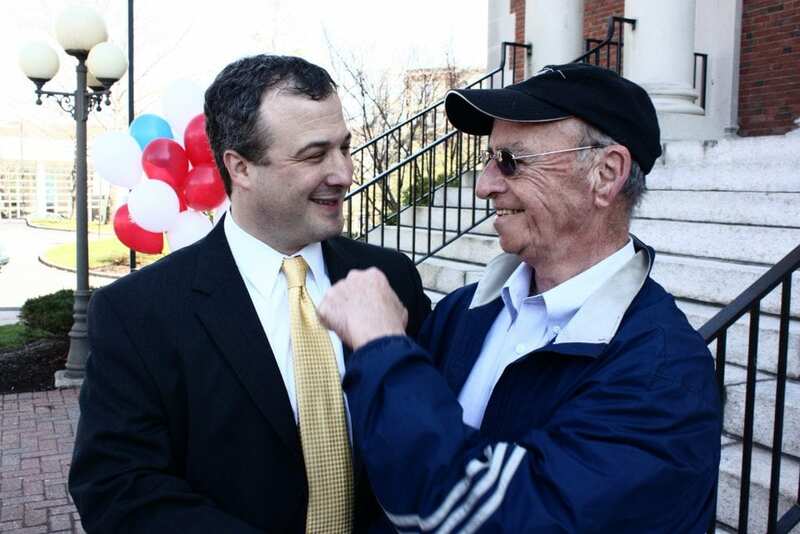 He made a tremendous difference to all he met and for the town of West Hartford. He will be missed. I have had the sincere privilege of knowing Paul for more than 30 years. We worked together at Chandler Evans and then most recently served for 6 years on the Veterans Commission. Paul was a kind man who helped so many from all walks of life. I admired his dedication and commitment to our veterans . I feel blessed that I had a nice visit with Paul just a couple of week ago when he started feeling bad andcevenbthough itvwad obvious to me that he was is pain is concern was still for our Veterans. I am so saddened to have lost such a dear friend I will miss him and I will never forget the difference he made in my life and so many others. My sincere thoughts and prayers are with his family and friends . Thank you Coach Glover for your kindness, time, and dedication. For coaching the Panthers to a championship in your last season as head coach and for inspiring me to volunteer to coach…. I was saddened to hear of Paul Glover’s passing. He was my very first rec soccer coach over 30 years ago. And I played travel soccer for him for years. He was dedicated, creative, kind and compassionate. He put me in goal when I was ten years old and it’s the position I still play to this day. It was a privilege to play for him and I was happy to see the dedication of the “Paul Glover Soccer Complex” because he has done so much for youth soccer and the West Hartford community. My deepest condolences go out to his family during this time. He was an exceptional human being. Paul Glover was my one and only Travel soccer coach from when I was 12 years old until I graduated HS and now I am 42 years old and I still see how much he touched so many people!! Being a part of Paul’s team just meant that WE were now all part of his family and that is how we always felt, like we were one big family! He always treated us girls with nothing but love! He was like a second dad to all of us when we were out there playing! I remember long road trips to weekend tournaments and many pool parties at his house and just having the best time when we were all together and I truly miss those days!! Paul was an amazing coach and he put so much heart into the game and into each and every one of his players.. The “Glover Complex” is just one of the many ways in which the town of WH gave back to him and all he did for the soccer community and its truly touching! I only wish I had the chance to say goodbye and wished that I had visited him more over the years since I have returned to CT. I send my condolences to his family and hope they know how much he made a difference to the soccer world and how much he will truly be missed!! !